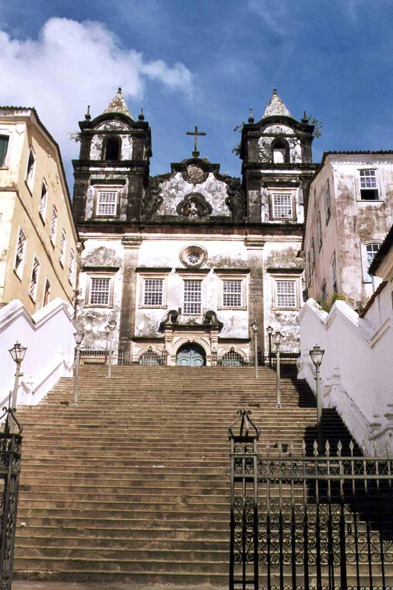 The Igreja do Santissimo Sacramento do Passo in the suburb of Pelourinho. In 1549, Tomé of Souza founded the city at the top of a hill, a strategic site vis-a-vis the sea. An agglomeration of ground and straw grew in one year and, in 1550, the walls protected it from the attacks of the Indians.